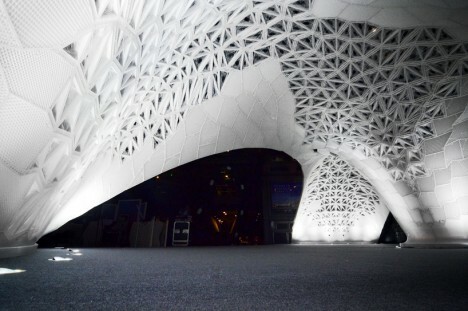 Inspired by the complex organic shape of a volcanic eruption, this 1,086-piece pavilion in Beijing has just been awarded a Guinness Book of World Records distinction for the largest 3D-printed structure in the world. 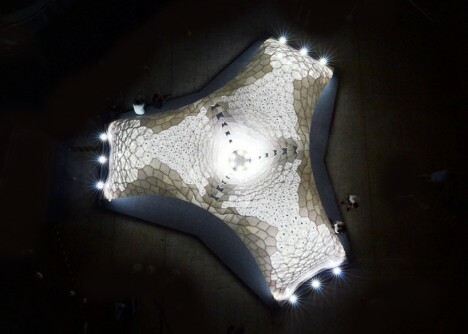 Created by the Laboratory for Creative Design, the VULCAN stands nearly 10 feet tall and spans 24 feet across, named after the Latin name for the Roman god of fire. 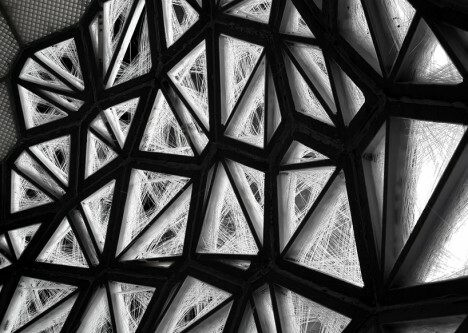 Its robust geometric components reference the divine, while a fragile web of cocoon-inspired interconnections between panels are inspired by man. 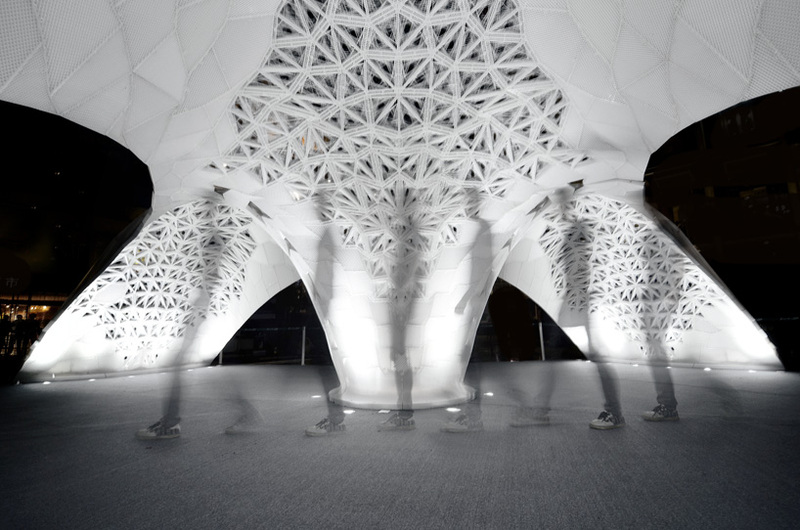 Human-scaled arches overhang an open space below, formed by three ramping forms flanking each entry and rising up from fragile points of floor contact. 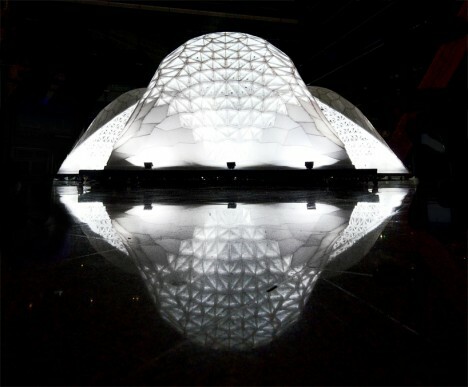 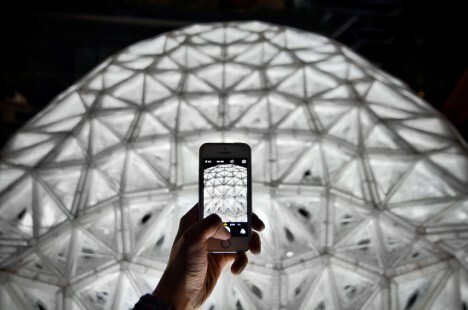 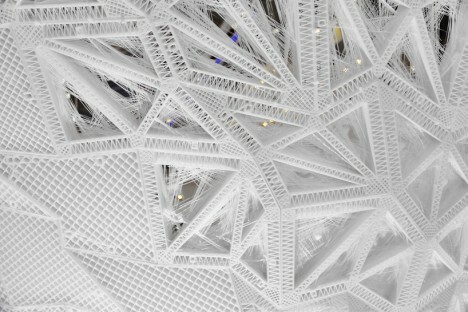 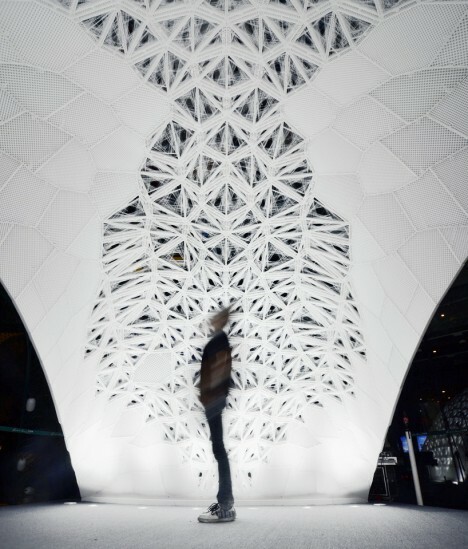 Th endeavor took 30 days and 20 large-scale 3D printers to complete, then 15 people for 12 days to assemble the pieces on site into the whole pavilion.